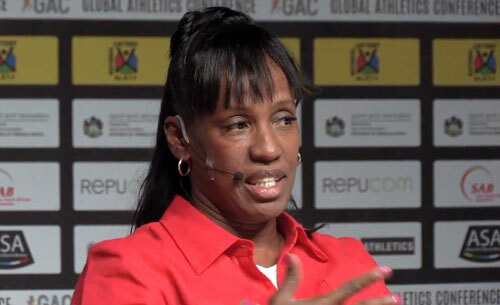 Jackie Joyner-Kersee is a retired Olympic track and field athlete who competed in four consecutive Olympic games in 1984, 1988, 1992 and 1996. Joyner-Kersee competed in the long jump and the heptathalon and won three gold, one silver, and two bronze Olympic medals. Joyner-Kersee set a world record for the heptathalon in 1988. She was voted the greatest female athlete of the 20th century by Sports Illustrated and has been involved with many philanthropic efforts since retiring as a competitive athlete. Sports Speakers 360 is a booking agent for pro athletes. If you would like to book Jackie Joyner-Kersee for a speaking engagement, appearance or endorsement, contact a Jackie Joyner-Kersee booking agent for fees at 1.855.303.5450.